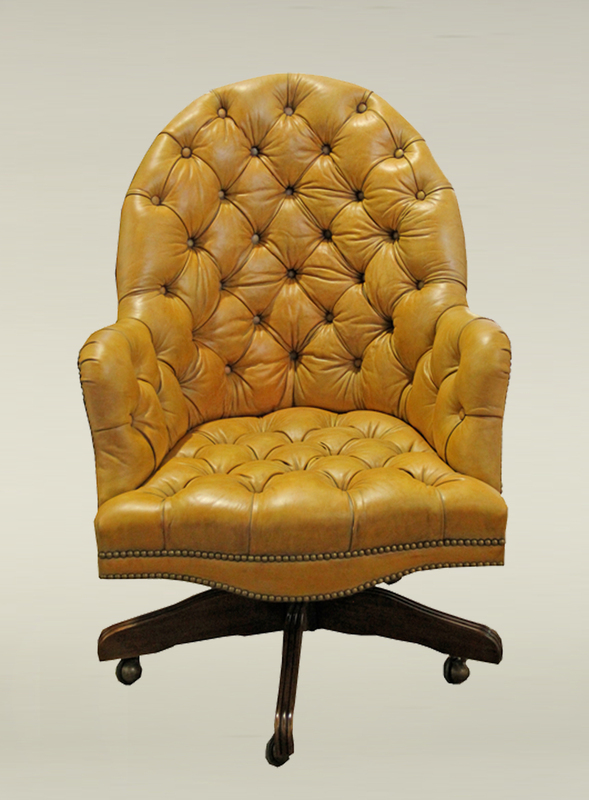 Parma Tufted Desk Chair No. 3504 - C. Mariani Antiques, Restoration & Custom, San Francisco, CA. Height: 45" adjustable; Width: 31"; Depth: 35 7/8"